I am about to preach on Matthew 16:13-20. This is Peter’s great confession of Christ and Christ’s famous words that he will build his church upon this rock. There are numerous questions that cluster around this passage. But one that often comes up is does the passage teach that Peter is the first Pope? I think the rock in Matthew 16:18 could be Peter. It could also be Peter’s confession of Jesus as the Messiah. R.T. France in New International Commentary on the New Testament says that the rock is Peter. Robert Reymond in his A New Systematic Theology of the Christian Faith also says it is possible that the rock is Peter. But neither man believes this proves the pope or the papacy. In other words, the exegesis of Matthew 16:18 does not determine whether or not Peter was the first pope. The entire NT must be taken into account. Just because Peter is given a place of privilege in Matthew 16:18 does not mean that Jesus was establishing the papacy. I am not exactly sure how the Roman Catholics developed their doctrine of the papacy. I know there is a lot debate about the historical details. I am also sure that the doctrine in 2012 is different than what it was in 1012. I will focus on the doctrine as it is taught today. Robert Reymond gives a summary of the doctrine on pages 813-814 of his systematic theology: the rock in Matthew 16:18 must refer to Peter only; Peter’s apostolic authority could be, indeed must be, passed on to his successors, but the authority of the other apostles could not be passed on; Peter’s authority was to extend to his successors for the entire age until Christ returns; the power of the papacy was limited exclusively and forever to the bishop over the city of Rome. He also mentions on p. 815 that the papacy is supposed to guarantee the purity and continuity of the gospel and is supposed to be infallible. My main concern in this short post is does the New Testament teach that Peter was the first pope or does the NT present a doctrine of the papacy. Here are the reasons I believe the doctrine of the papacy and Peter as the first pope are unbiblical. 1. Peter does not see himself as a pope or even a pope like figure. In his sermons and actions in Acts and in his letters there is no indication that he sees himself as having superiority to other apostles. Note especially I Peter 5:1 where he says he is a fellow elder. 2. 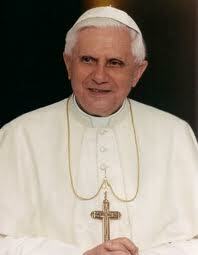 No other New Testament writer sees him as a pope or a pope like figure. In Matthew 18:1 the disciples are trying to figure out who is the greatest in the Kingdom. This is a strange argument if in Matthew 16 Jesus declared Peter the first pope. Luke spends a good bit of time on Peter in Acts, but he fades from view after chapter 15. In Acts 15, Peter speaks, but so do Paul and Barnabas, and it appears that James presides over the meeting and makes the decisive speech. In Galatians 2:9 James, Peter, and John are all listed as pillars of the church. Nowhere in the NT do writers give Peter authority above the other apostles. In fact, after Acts 15 Peter is only mentioned by Paul who rebukes him. 3. Peter is clearly portrayed as a sinner and maybe the chief of sinners in the New Testament. At the very least this casts doubt on papal infallibility. There are at least four major sins by him mentioned in the New Testament. His rebuke of Jesus in Matthew 16:22-23. His making Jesus equal to Elijah and Moses at the Transfiguration in Matthew 17:4. His denial of Jesus mentioned in Matthew 26, Mark 14, Luke 22, and John 18. It is interesting that all four Gospels record his denial. Finally, he is rebuked by Paul in Galatians for refusing table fellowship to Gentiles. This last one is especially striking since it is clear that Paul was right and Peter was wrong. 4. In Acts 8:14 Peter and John are sent by the church at Jerusalem to investigate what God was doing in Samaria. Again who sends a pope anywhere? Isn’t it the pope who should be sending? 5. In Acts 11:1-2 Peter is questioned by “the apostles and brethren in Judea.” Again this is odd if he was a pope like figure who was supposed to represent Christ on earth. 6. There is no New Testament doctrine of succession. We do not see Peter passing on or being told to pass on his special status to anyone else. In fact the main examples we have of laying on of hands does not involve Peter at all. (Acts 13:3, 19:6, I Timothy 5:22, II Timothy 1:6; Acts 8:17 is the exception.) There is no NT doctrine of apostolic succession from Peter to someone else. 7. The Roman Catholic Church does not just claim that Peter is the first pope, but that the pope must rule from Rome. Peter and Rome are supposed to be absolutely linked and both have primacy. If this is true why does Paul never refer to Peter as having anything to do with Rome? This is strange considering that Rome plays an increasingly important role in the NT, but Peter does not. Paul wrote his final letter, II Timothy, from Rome and makes no mention of Peter at all. How can this be if Peter was the main bishop over Rome and was supposed to be the head of the visible church? In fact in II Timothy 4:9-16 Paul mentions that everyone has abandoned him while he is imprisoned in Rome. Where is Peter in all this? 8. Matthew, Mark, and Luke all record that Peter had a mother-in-law, which means he also had a wife (Matthew 8:14, Mark 1:30, and Luke 4:38). This fact does not destroy the idea of a pope, but it certainly destroys the idea that the pope must be celibate. The cumulative New Testament evidence is against Peter being first pope or even anything like a pope figure. He had an important task as the leader of the apostles and as the one who first preached Jesus in Acts. He has a privileged position in the New Testament and especially in the Gospels. But those facts do not prove anything like the Roman Catholic papacy.